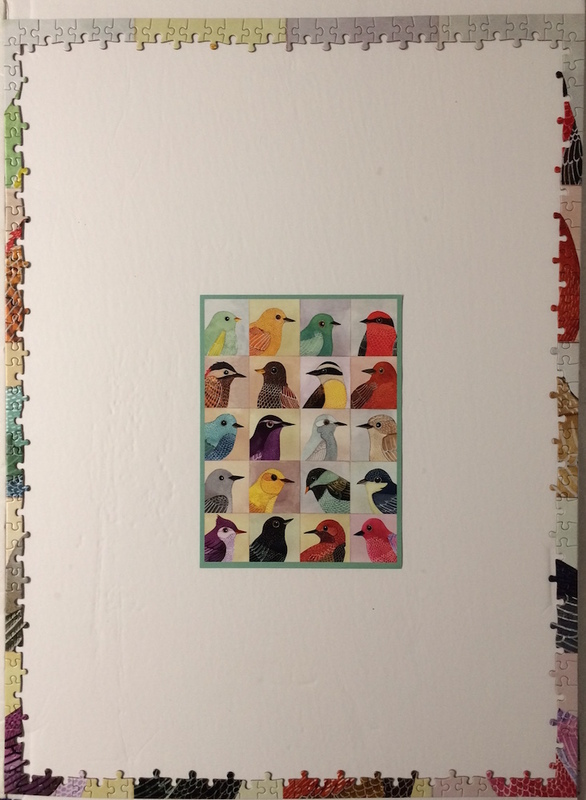 The border went together fairly quickly. 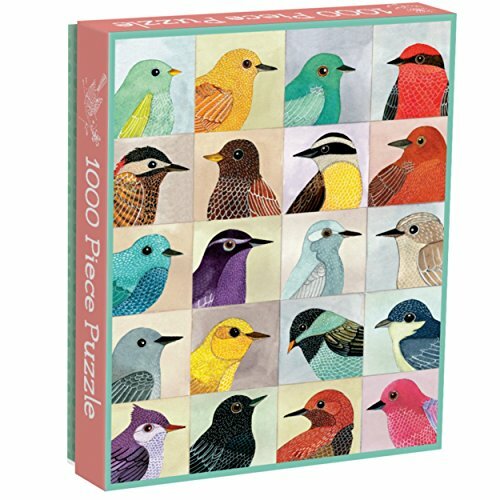 There is a nice poster included with this puzzle which is an added bonus! 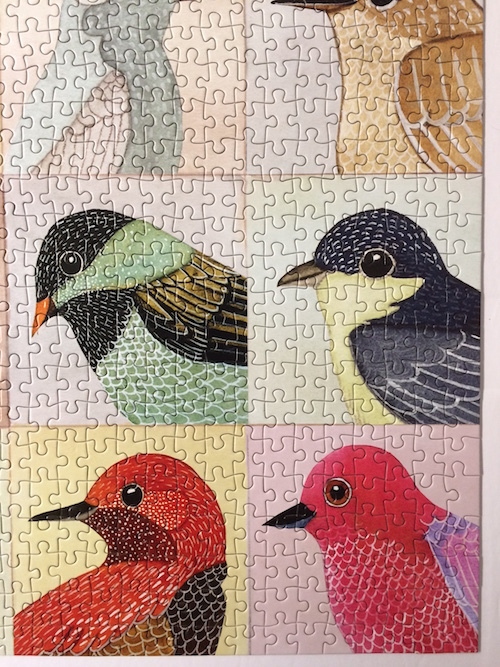 First I did the purple bird, then yellow birds, then green birds, then red and/or black birds, leaving the browns and greys to the last. 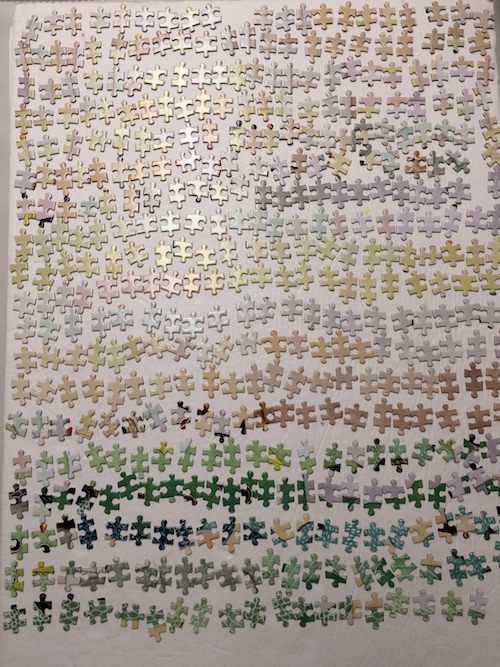 That left the colored pastel backgrounds which went pretty quickly too. 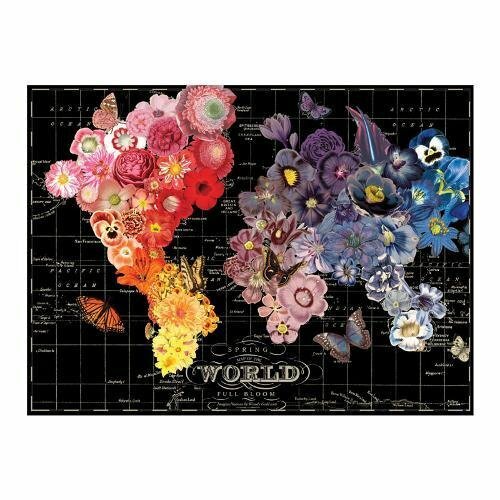 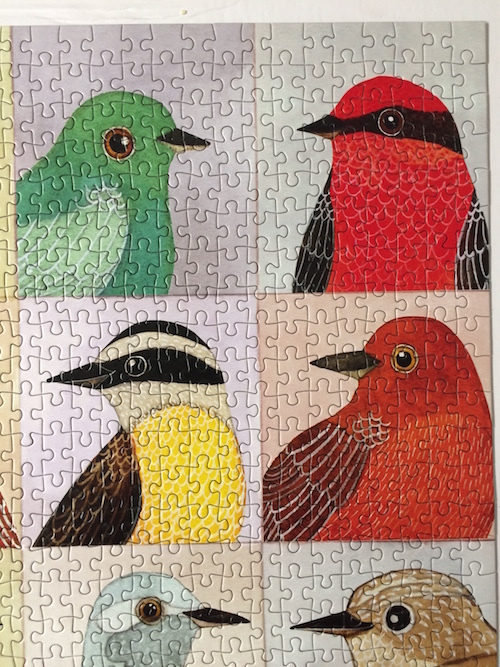 The finish is very nice on these Galison jigsaw puzzles and the piece quality has a nice feel and is very good. 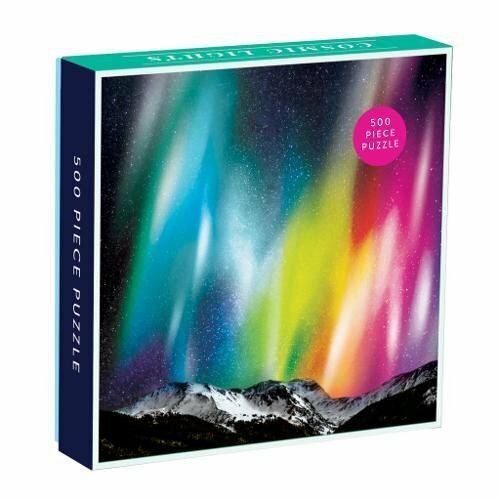 It comes with a poster, the pieces are bagged in thicker plastic than most puzzle bags and the box is solid, plus pretty. 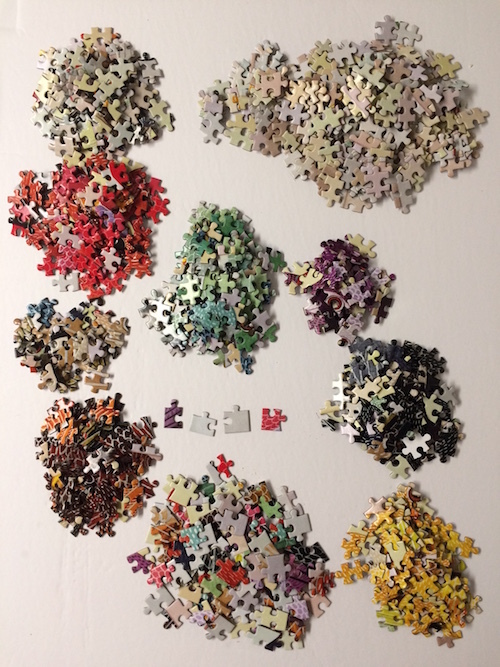 This type of puzzle image, known as a collage, went quite quickly, just under 8 hours. 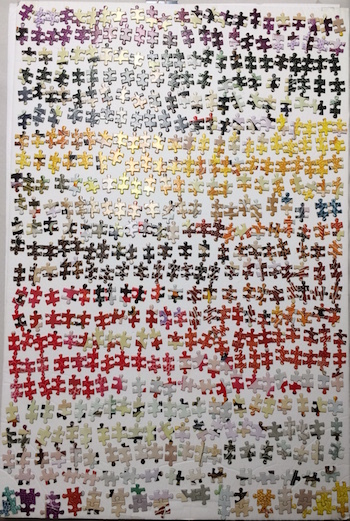 It may be surprising but this is the VERY first time I have completed a 1000 piece puzzle from start to finish (in between my daily duties) in one day! 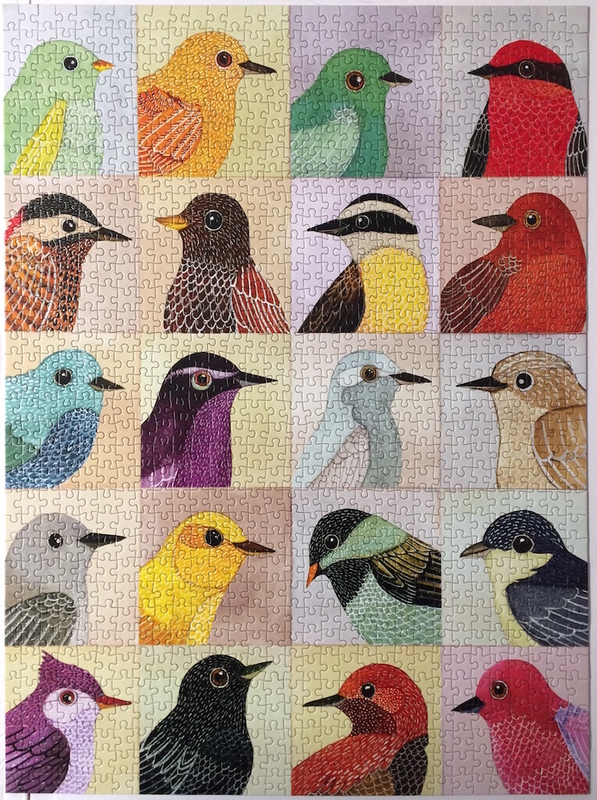 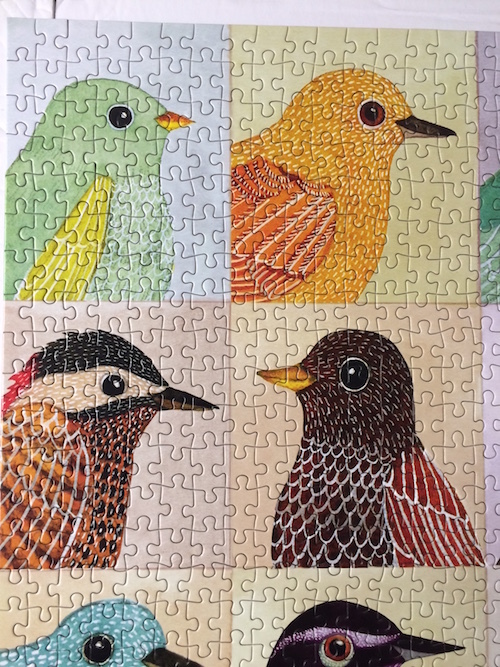 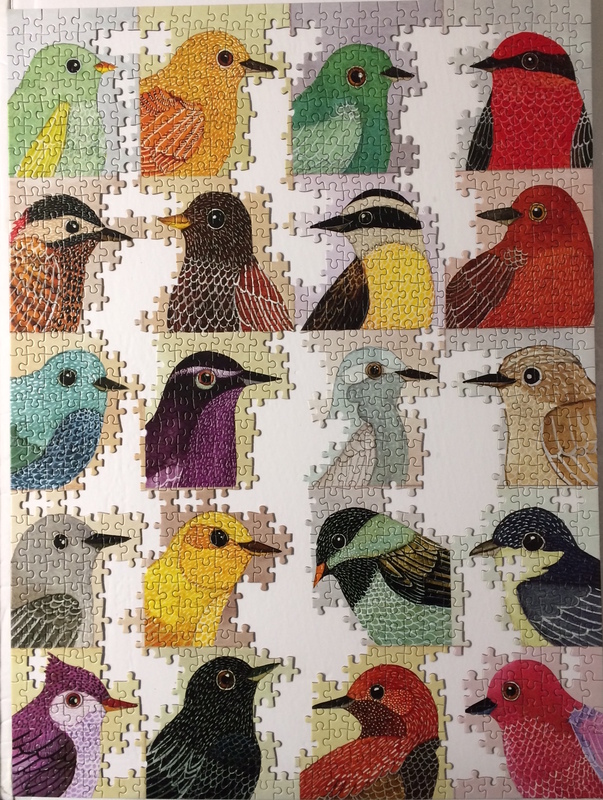 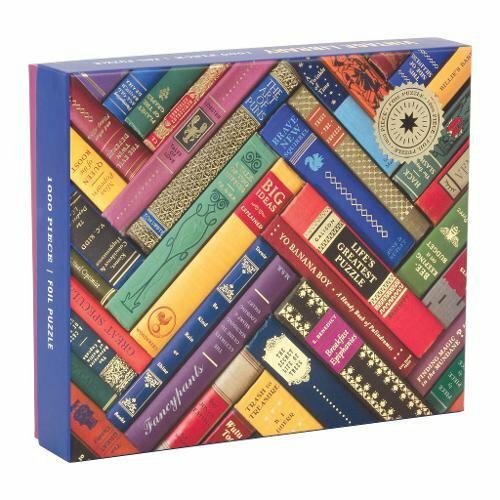 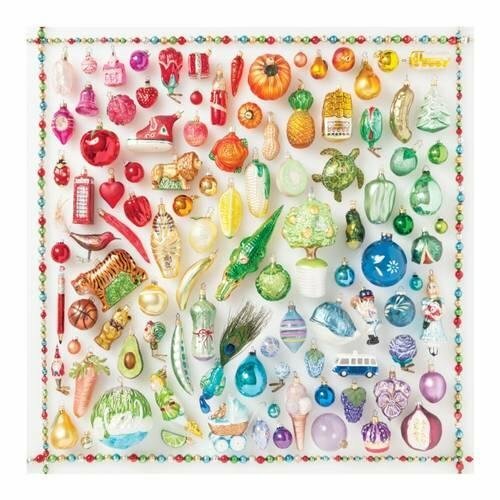 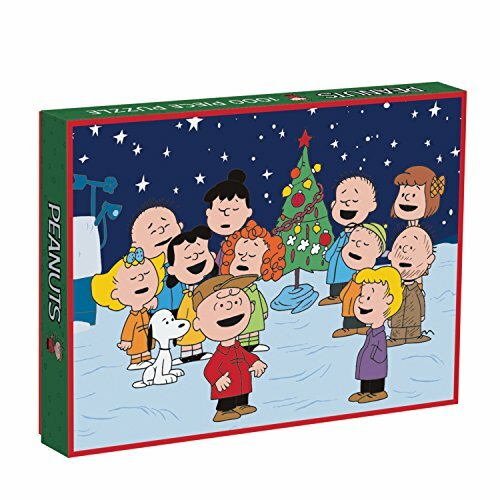 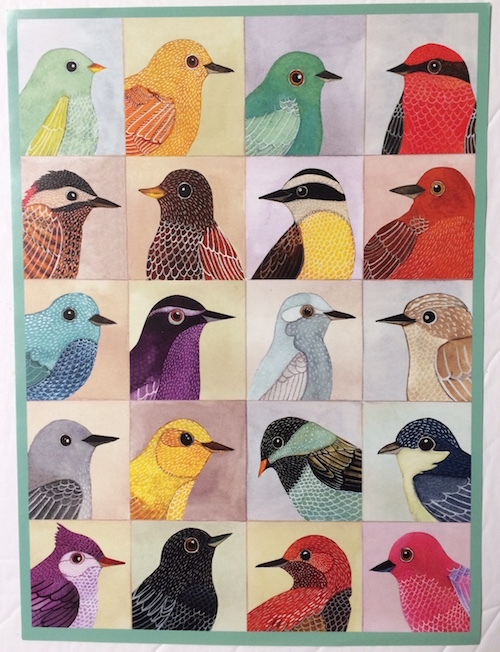 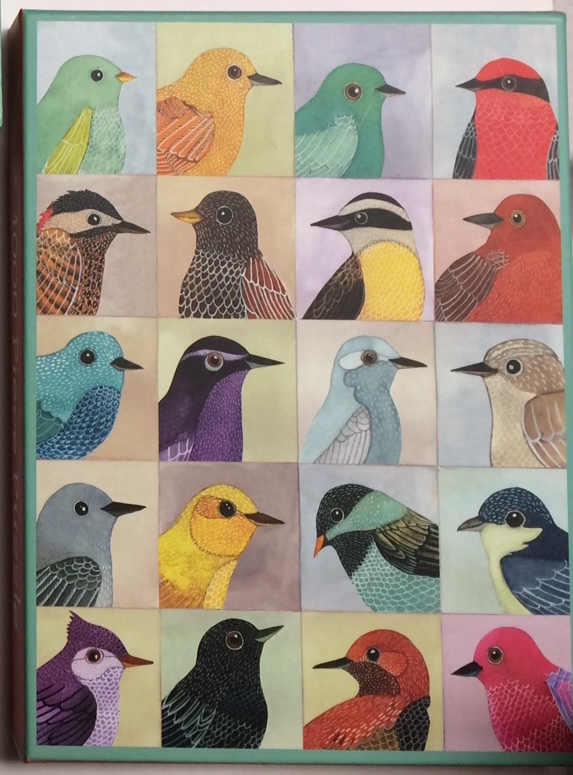 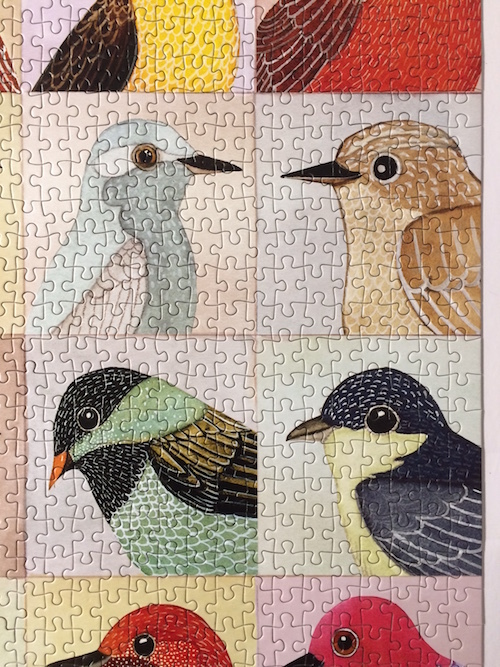 Also the Avian Friends puzzle is said to be the #1 best seller at Galison's Puzzles and is perfect for a newbie to 1000 pieces puzzles. 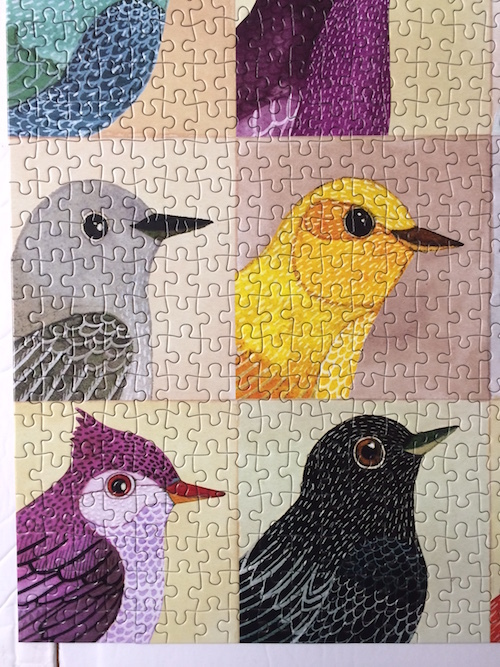 I can easily highly recommend it! 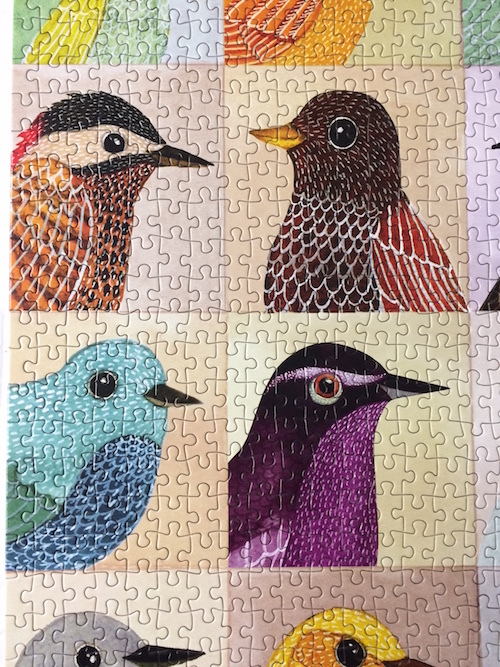 Take a look at the gorgeous close up images below.